There are lots of cleaning companies near Ham, but none as dedicated and professional as our domestic cleaning business based in TW10. We are passionate about what we do, and what we do, we do extremely well. Our clients can expect top-class service, prompt and proficient working practices, and a positive attitude to our duties. We practice deep cleaning and specialise in one-off cleaning services that leave less capable cleaners quaking at the challenge! You are just a phone call away from a pristine home, so why not contact One-Off Cleaning today on 020 3397 3282 to talk to an expert cleaning guru. We’ll be only too happy to prove our cleaning prowess! How Can You Refresh Your Home? A clean Ham home isn’t just about taking care of your property or improving the visual appeal of a room. Rather, cleaning enhances the health and hygiene of your house. Constantly inhaling dust and grime won’t benefit your health in the long-term, especially if members of your household suffer from respiratory conditions or allergies. A one-off clean may be all that is required to refresh and enliven your property, but only if carried out by a team of professionals supported by the best equipment. Armed with the right cleaning products, our one-off cleaners in Ham TW10 can swiftly erase all trace of mould and mildew and replace it with fresh-smelling scents and pristine surfaces. At One-Off Cleaning we only have the finest professional cleaners on our payroll. Our operatives are skilled and trained to meet our exacting and high standards. 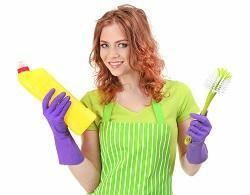 For our one-off cleaning services in TW10 to be successful, we need hardworking, swift and efficient cleaners on our books who can cleanse a property in a matter of hours. Whether you are seeking a one-off spring cleaning job, or a thorough winter wipe down, call us on 020 3397 3282 to discuss your needs in more detail. We aim to meet our customer’s requirements and respond to enquiries in a prompt and professional way. 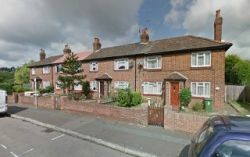 Lots of satisfied customers in TW10 have taken advantage of our exemplary team. Isn’t it time you did too? Ham has a foot in the London Borough of Richmond upon Thames and a toe in the Royal Borough of Kingston upon Thames.This locale boasts the Thames Path National Path and is bounded to the east by Richmond Park. The area gets its name from its watery location with the word ‘Hamme’ meaning a place in the bend of the river. Its position was a draw for centuries of agriculturalists who made a living from the lush pastures. Today, Ham Common is a tranquil spot complete with cricket pitch. The area is served by four bus routes which link to Kingston upon Thames. If you’re going to indulge in a one-off cleaning service in Ham, TW10 then get it right! By picking us to undertake your house cleaning project, you will get the best deal! We promise to deliver first-class cleaning services that can’t be beaten on quality or value for money. If you put your trust in us, we’ll reward you and your home with an outstanding spring cleaning job that’ll leave you speechless! Impress your neighbours with a sparkling home that’ll have them queuing up for a closer look. However unkempt a property may be, we can transform it within a day by peeling back those layers of dust and revealing a shiny surface underneath. Call for a quote today on 020 3397 3282!